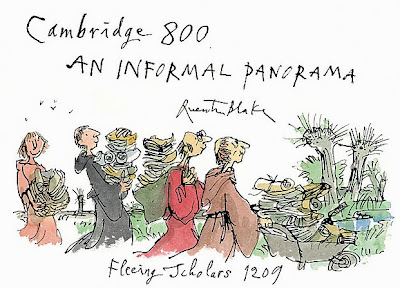 The artist Quentin Blake - best known for his illustrations in Roald Dah's children's books has unveiled a 70-foot-long work celebrating the 800th anniversary of Cambridge University. 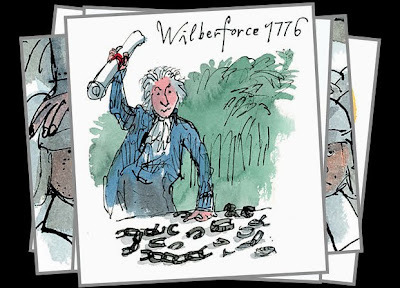 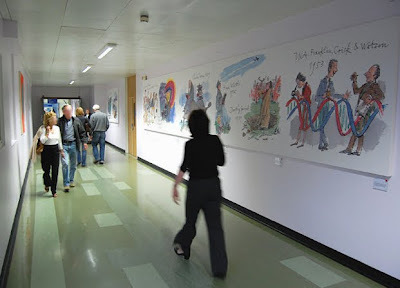 On display at Addenbrooke's Hospital Quentin Blake's mural depicts famous alumni from centuries past. 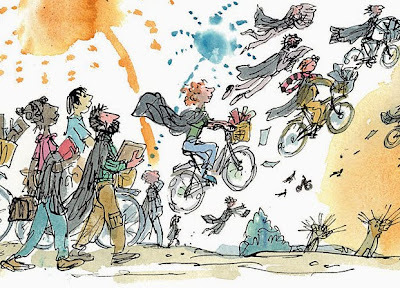 I'm a huge fan of Quentin and his quirky spirited drawings. 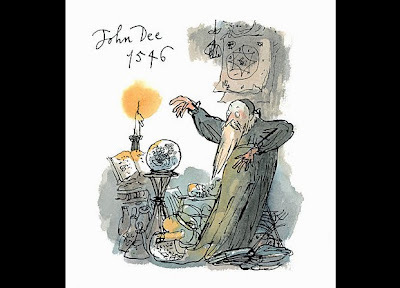 Blake brought out the best in Roald Dahl's characters too. 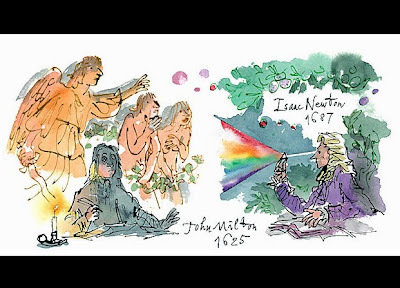 Take a guided tour with the artist himself here. 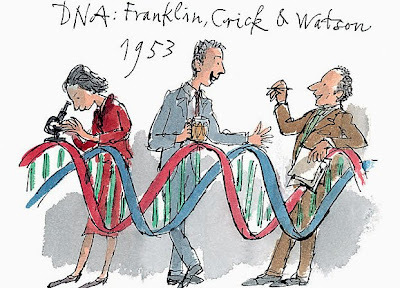 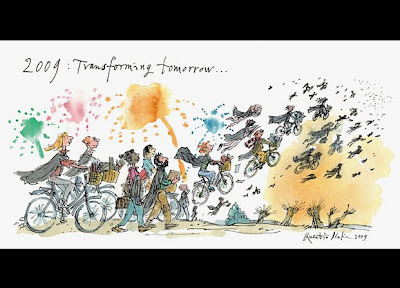 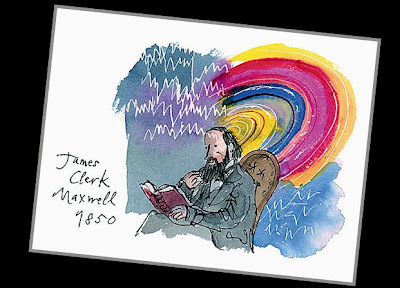 Images courtesy Quentin Blake. 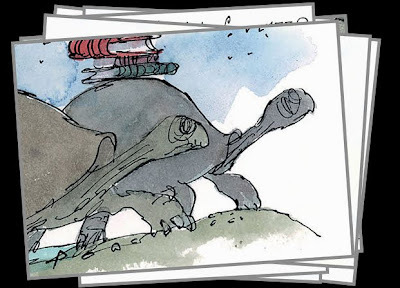 Music courtesy KPM Music.